John Hudak, my Uncle, was in the CCCs. My Grammie says that he was in the CCC camps way back when, somewhere in Pennsylvania I believe. I found this weird old brass ring hidden at my Uncle's. He was in a nursing home at the time, and in pretty bad shape, but I took it to him and asked him about it the next time I visited. He said he couldn't remember when he got it and didn't say anything else, so I asked him if I could have it. He gave it to me and made a mysterious remark -- "Wear it and use it." Afterwards, a few years ago, he died. 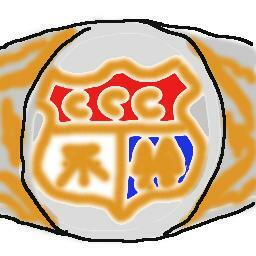 Above is a crude drawing of the ring. If you recognize it, I would be interested to learn what the symbols represent, when and why it was produced, and any other info you might have about it as well as his CCC service. My Uncle John was in the Merchant Marines during WWII I believe. That was after the CCC camp stuff. He was always pretty old when I knew him, and he didn't talk a whole lot. I know he loved to fish and hunt. After the merchant marines, he lived by himself in Kellettville, PA. This is a pretty remote area and is located within the Allegheney National Forest. He lived a pretty simple life... in the summer, he bathed in the river right by his place, and he hauled jugs of water up the hill for cooking and stuff.